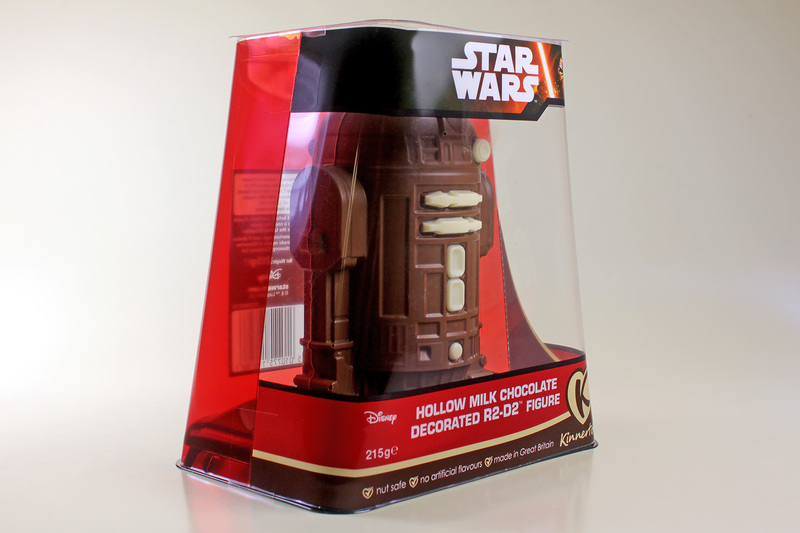 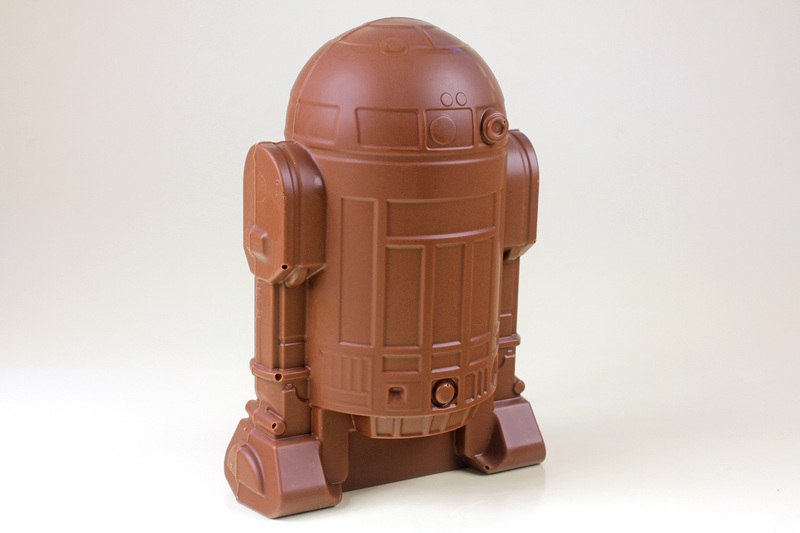 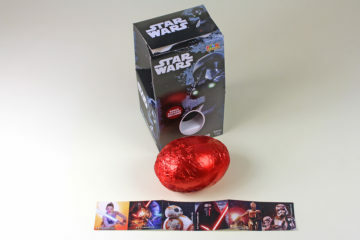 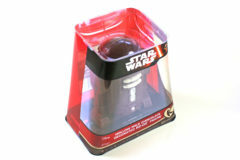 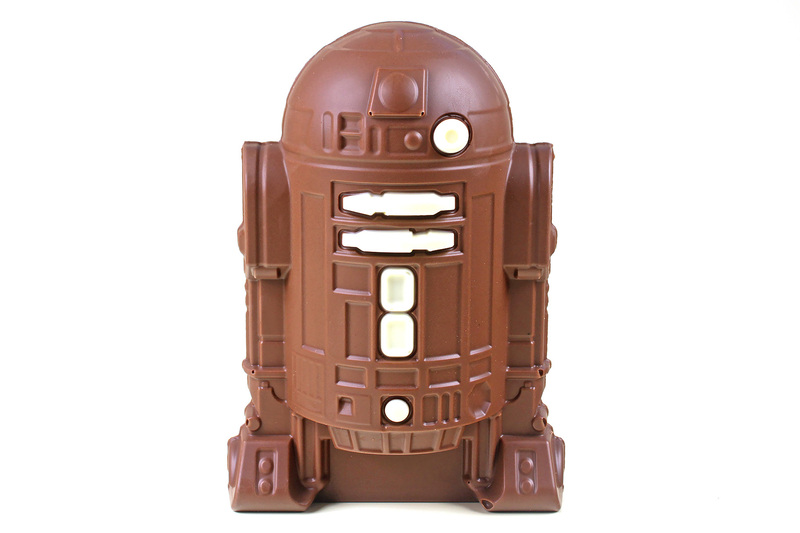 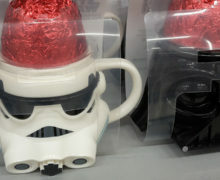 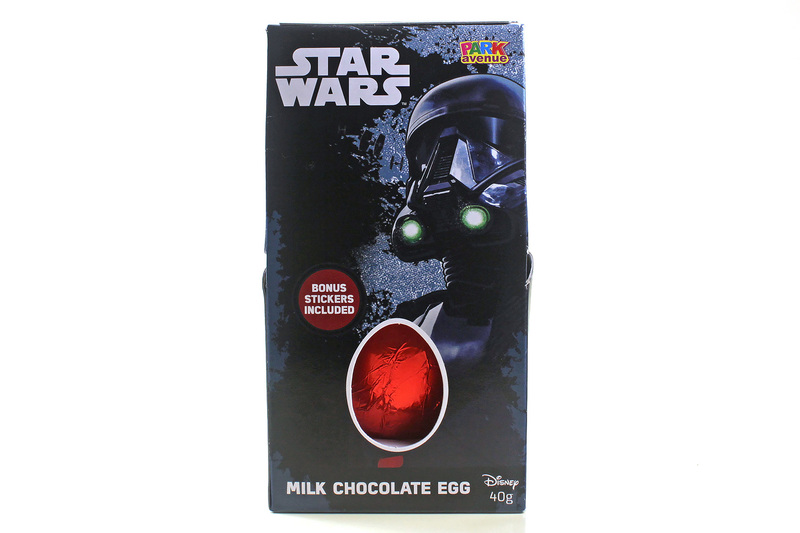 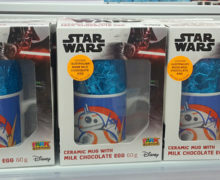 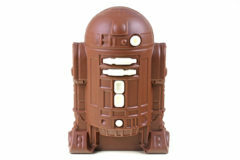 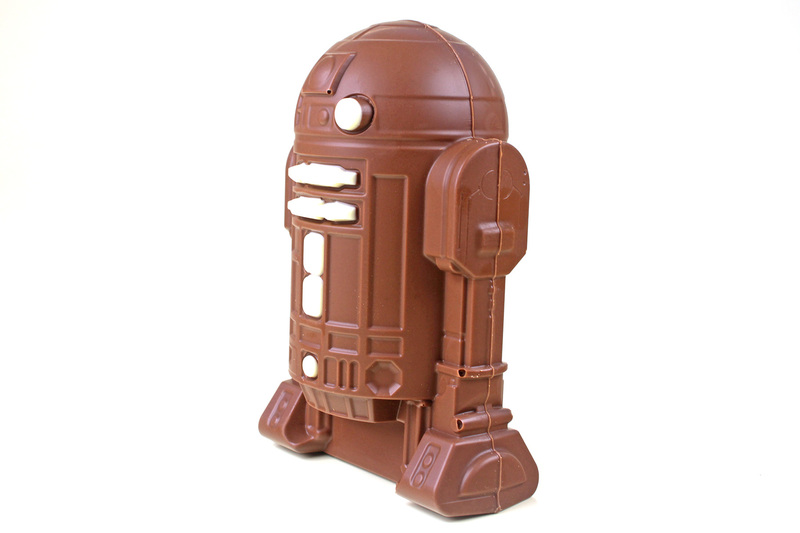 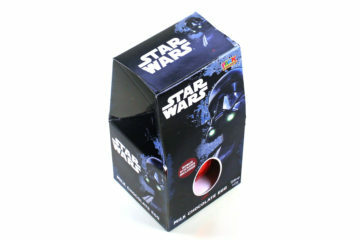 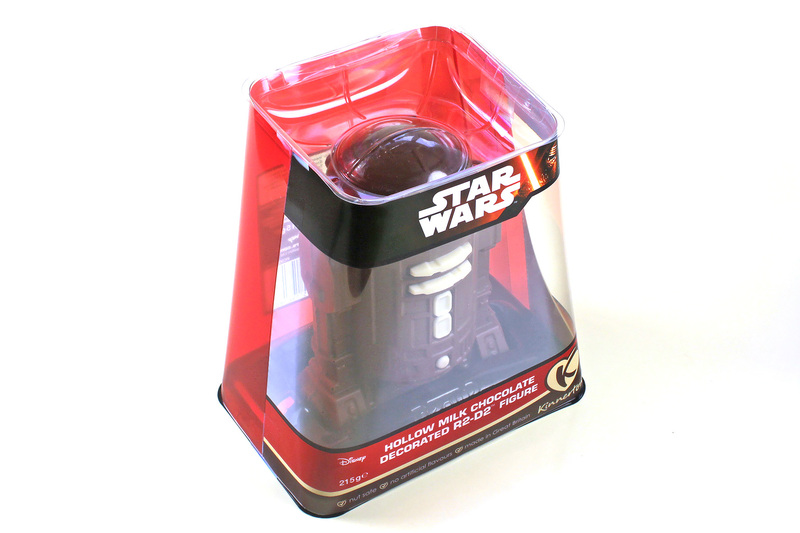 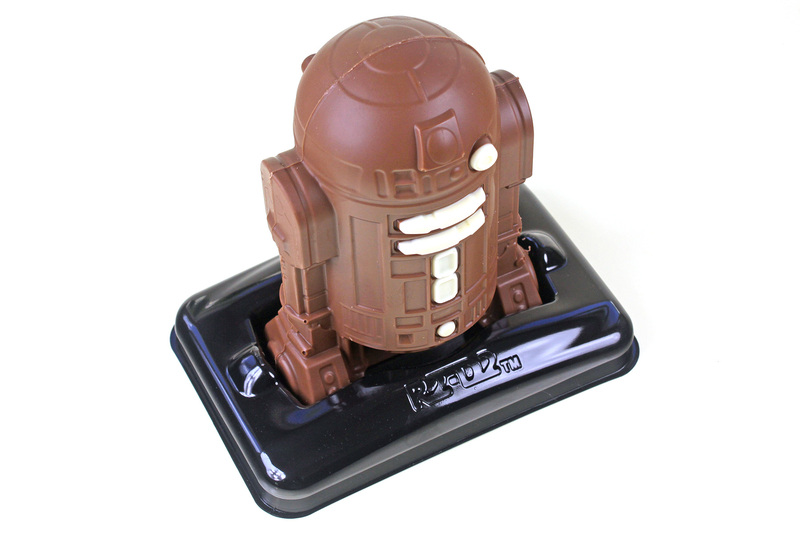 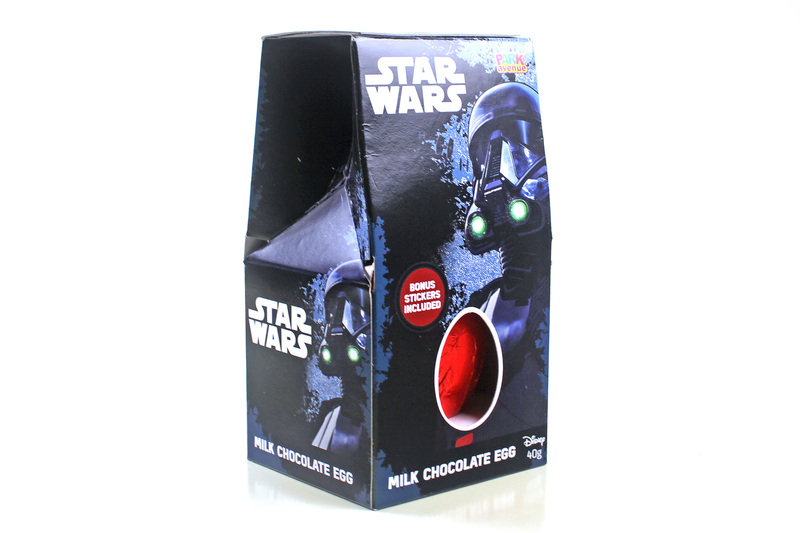 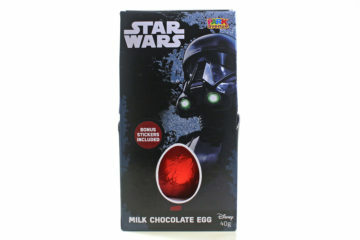 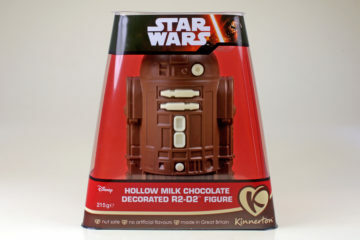 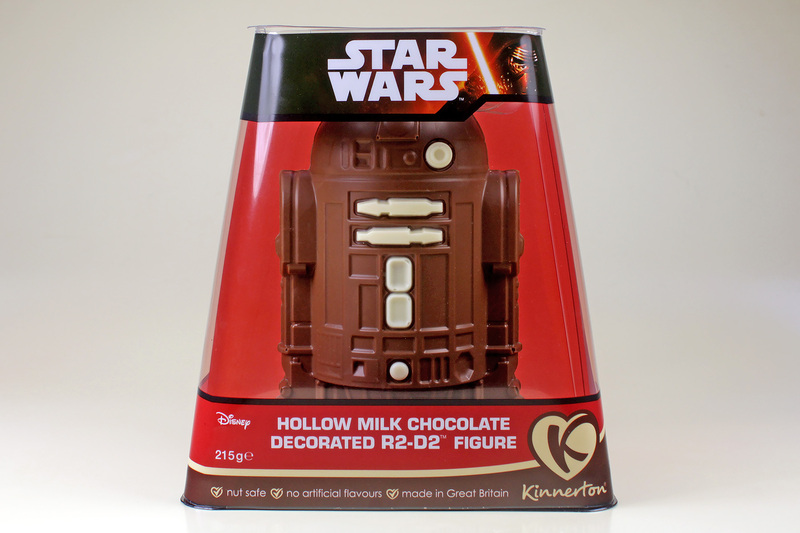 The Star Wars Easter haul for 2017 features a number of chocolate eggs similar to those of previous years, albeit with updated Rogue One box graphics, but the stand-out item for the year has to be the Hollow Milk Chocolate R2-D2 figure from Kinnerton. 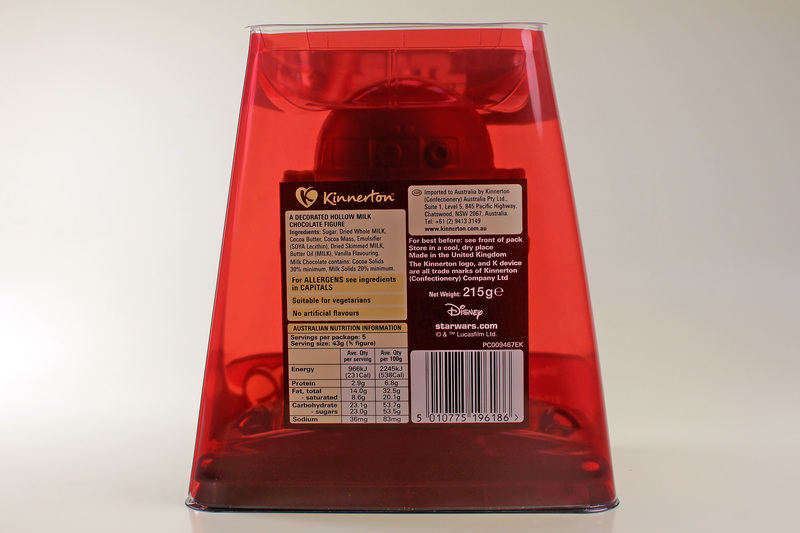 The Kinnerton company is UK-based, but they have an Australian subsidiary that imports such treats into this part of the world. 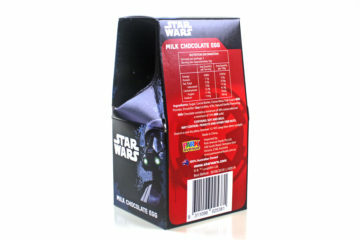 This 215g confectionery product is available at Countdown supermarkets for $15. 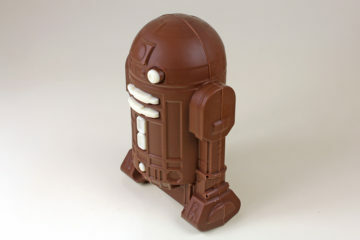 The sculpting is impressive for an edible figurine, complete with white chocolate highlighted features… it’s almost a shame to break him up to consume, but although it comes in a plastic display box of sorts, it’s obviously not designed to last forever, so you might as well give in to the temptation. 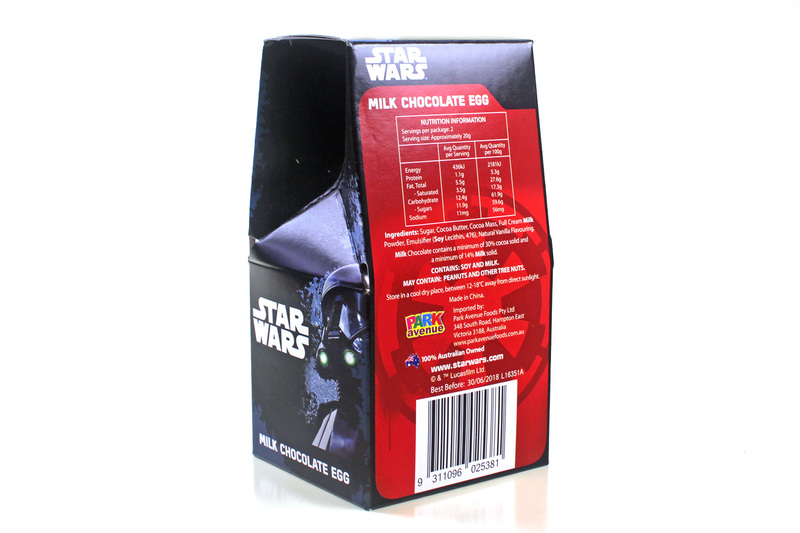 Also available at Countdown supermarkets is a smaller 40g milk chocolate egg, from Park Avenue (Australia), priced at about $4.00. 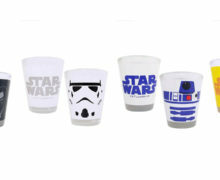 It comes with a small sheet of 6 Star Wars: The Force Awakens stickers, each about an inch square.